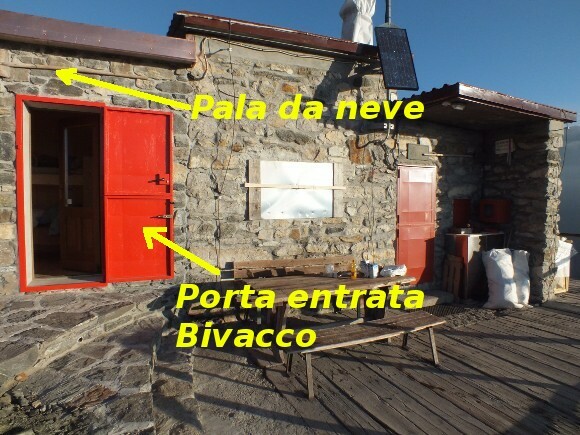 We remind all hikers that before heading for the hut M. M.Del Grande e R.Camerini it is better to check if the hut is open, calling the phone number +390342556010 or sending an email to sezione@caisovico.it. 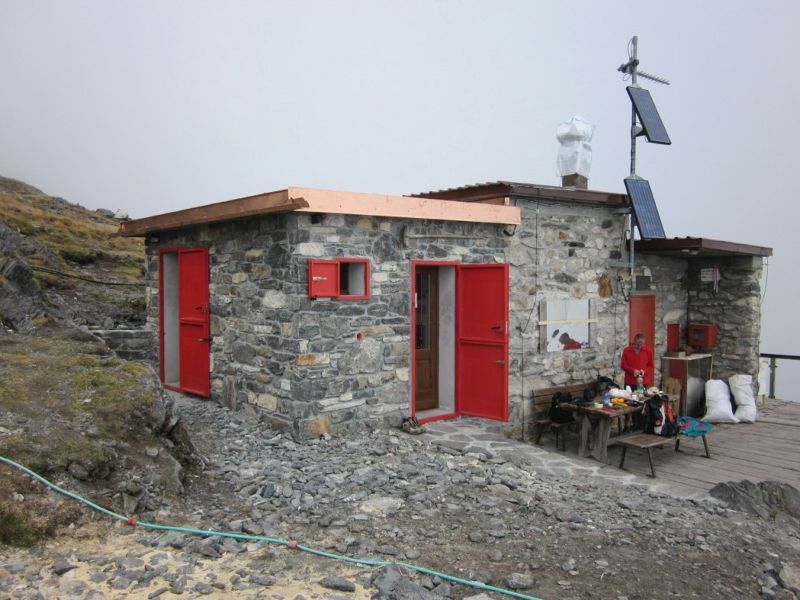 Out of the opening season the hut is closed, but it is possible to stay in the near comfortable bivouac, built in 2012. Inside there are 4 beds, a little table, 4 stools, electric lights and a 230 vac socket, useful for charging a cell phone. 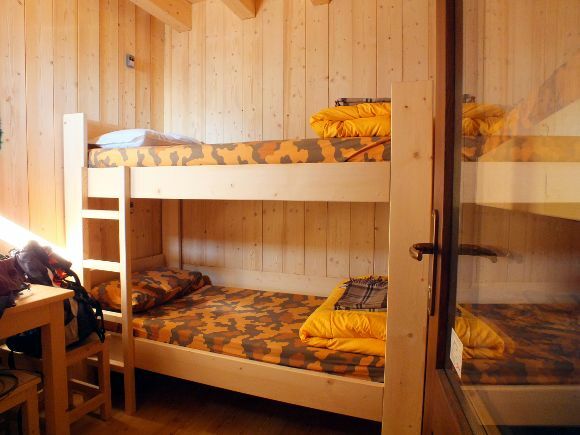 Beds have mattresses, pillows and blankets.The inside of the bivouac is visible in the photo near here. It required a lot of work by our members and was a huge economic burden for us, partially covered by Regione Lombardia and the Italian Alpine Club. The bivouac is open to everyone who wants to come and visit our little hut out from the opening season, we are confident you will take care of it!!! Notice: in case of a huge amount of snow, above the door there is a shovel that can be used to remove the snow in front of the door. 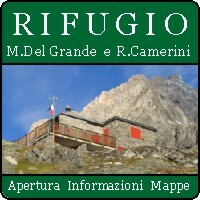 The position of the door of the bivouac is indicated in the photo. We want to remember to all the visitors who will visit our refuge during the closing time that all the rubbish must be brought back in the valley. The rubbish left near the hut is dispersed by the wind and the animals all around the hut, and our person must collect it before opening the hut. We ask you to help us in makeing this annoying work easier, avoiding to left your rubbish here. Thanks.